Thanks 2011 Mock Trial Judges! Everyday I’m reminded why I like the law. There are so many reasons, but one of the most important is how much I like and respect my colleagues. We endure lawyer jokes. We are cursed along with “used-car salesmen” (and are they really so bad? My cars were exactly what I wanted). And sure, there are some who bring out the worst. BUT there are even more who are really cool people. They engage in their communities and take an active leadership role. Below is such a list. 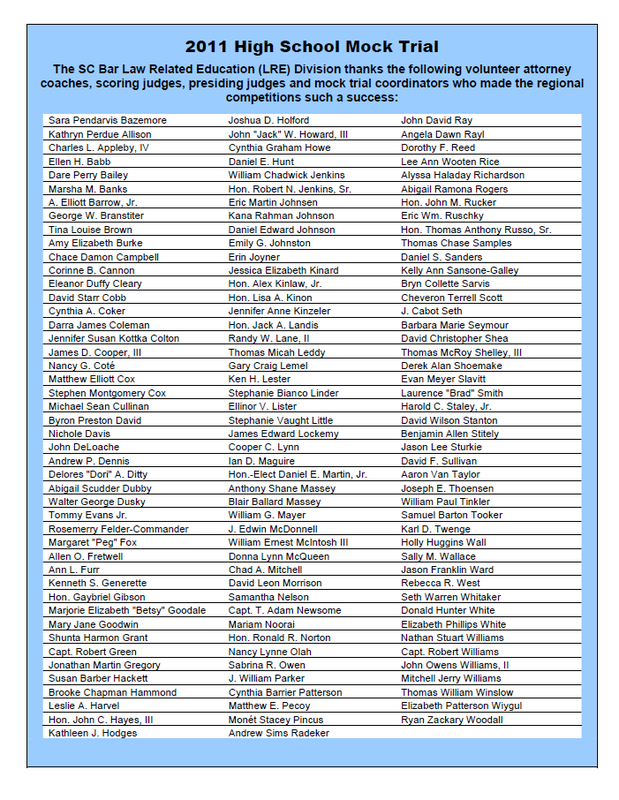 All these attorneys took time out to coach, judge or coordinate local High School student mock trial competitions. And that IS really cool. THANKS! 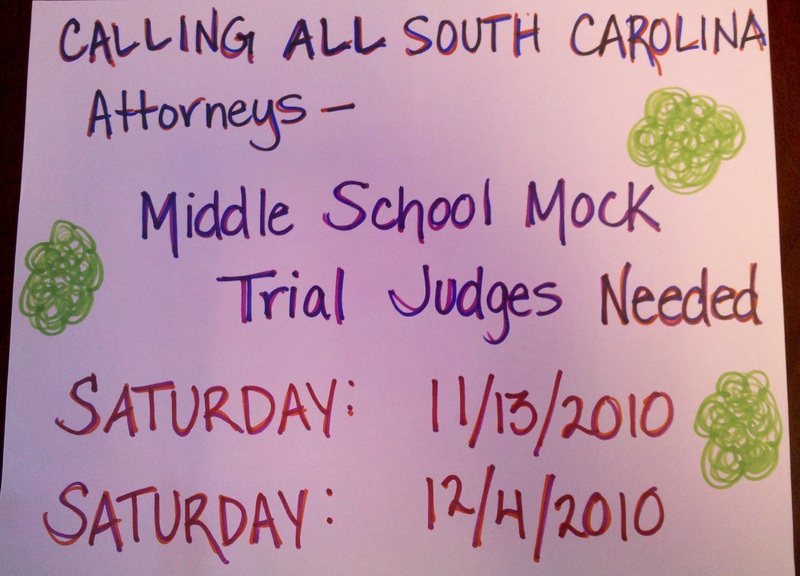 The Law Related Education Committee at the SC Bar is hosting the Middle School Mock Trial Competition and we need your help! Please consider volunteering some time to judge this event. The schedule is as follows. Meals, training, and pro bono credit are provided. If you are available on one or both of those days, please email or call LRE Director Cynthia Cothran at 803-252-5139 or ccothran@scbar.org Please feel free to pass this message along to friends or colleagues who might be interested in helping also. PS – If you’ve not volunteered before, this is a great program. The students are well-prepared and take these competitions very seriously. And, it’s fun to see the next generation . . .